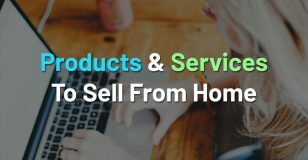 How to Make Money with a Website Without Selling Anything? The world has gone digital, and the ways of making money has also gone digital. Many people are beginning to carve their own personal space on the internet. There is a need for businesses or private individuals who feel they have goods or services to either sell or information to give to have a real estate property, online. While in the past having physical lands were a must, the space for ownership has shifted. It has gone online. With websites springing up from every nook and cranny, all thanks to web hosting sites like WordPress and Blogger that makes owning a website pretty easy, people would love to make money from their websites without selling anything. They do not just want to pay mortgage in the form of hosting fees and content development time and resources, they would love to get rentals from these spaces they’ve owned. They want to make money. And you can Make money from your website. I know that being a salesperson can be itchy. We think that salespeople are humans whose only interests are in our money and nothing else. This is right. And wrong. We can make money from our website without selling anything… by being a sales person! Yes, one can sell without selling. Making money from website can be a tough call, seeing how the internet has been bombarded with Real estate – websites. The need for information is on an ever increasing high. People are constantly using search engines, social media websites as well as Q&A forums like Quora to source for information. Our website can make money for us by leveraging on this new internet opioid – Information. Before we can start making money with our website, we have to first define what kind of content our website would have and the content type that we would use. The first step in making money from your website is defining what kind of value you would be adding to the ever increasing world of information Seekers. The problem with the internet is not the lack of information but the lack of quality information. Making money with a website means that we have, from the start, defined what kind of information we would be giving the visitors to our website, and how much quality those information would have. What do we find interesting and would love to share our knowledge on? What is that thing that we readily feel we can teach people about with Relative ease? What valuable content can we offer them that they would not get elsewhere? What niche are we going to exploit? It is imperative that I note here that content types does not have to be text based only. You can have videos, infographics, pictures and even audio content on your website. The content type is sometimes niche specific and audience specific. If for example I’m a photographer who loves to use iPhone to take quality pictures and I want to teach people how to use iPhone to take quality pictures, I’ll have to use videos, pictures and some text. But in a situation where I am interested in teaching students how to understand difficult topics on chemistry, I’ll use more videos and texts than I did with the photography content. It is imperative that our content type is suited for our “Kind” of content. When a purpose for the website has been known, it is also important, in a bid to make money from the website, that a plan is set in place on how this website would be run and how the content that would put up would be scheduled. Websites, like a piece of land, has to be built before people can comfortably say they want to live in it. Owning a website is just like buying a land. The process of building the website, both in terms of the technical side of it and the content side of it, is akin to the construction of a building – roof, blocks, rooms, furniture and electronics. Nobody would take his family to a building that has no roof or has not been completed; no person would pay rent either for an uncompleted building. Without the right content, there is no way we can make money from our website without selling. Without content, quality content, what we have is a piece of land with no building structure and no furniture, we sure won’t be getting people lodging in our uncompleted building. How do we create a plan for our website? There are many “Quick money” methods flooding the internet these days. People are looking for ways to make money online and, on their websites, the quickest way possible. But I’m sorry to tell you: there are no quick ways to making money online. We have to give it time. Quality content and a quality audience takes time. The content plan is a detailed plan on how I intend to curate powerful and quality content that serves the need of my targeted audience, answering their questions and making sure they stay hooked. It is how I plan on alternating between content types in satisfying the dynamic needs of my audience. Do I want to start off with making short videos and then graduate to texts and audio and images? Or do I want to start off with text? How do I want my content to be seen? As a friendly your-next-door-neighbor kind of content? Or do I want it to be official and punchy? What tone do I intend to use in my content? Have I defined the personality my target audience? If I have clearly defined the personality of my audience, what would my audience and their unique personality want? After some of these questions have been answered, you are well on your way to making money on your website, without selling anything. The next stage is scheduling our planned content. How often do we want to post? Once a week? Two times? At what times of the day do we want to post on our website? What scheduling helps us have is a consistency that wins your audience over. The host of the podcast, Entrepreneur on Fire, John Lee Dumas, has posted his podcasts for the past five years, by 3AM every single time he posts. This consistency in posting his audio content helped him build a loyal fan base from which he has leveraged on. When you have drawn up a schedule for posting your content, it is imperative you keep to this schedule. It builds our reputation as trustworthy and reliable. That’s a quality you can use. 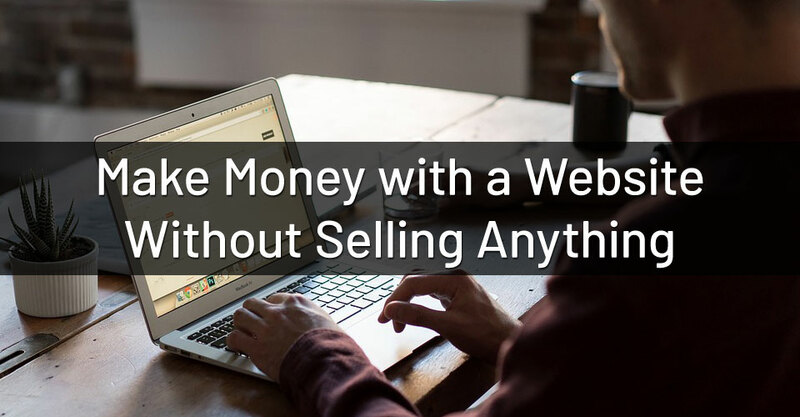 Now that I have laid down the basics for owning a website and how to grow it, let’s get to the crux of the matter: How to Make money from website without selling anything. The reason we had to take the long route of explaining the need for a website focus and how to plan and schedule content is so we would know that making money from website is not something we wake up to do and then make it; it takes time and effort. Without real value, it would be hard to garner visitors, without visitors, it would be almost impossible to make money with a website. The name of the game when it comes to websites and its profitability is AUDIENCE. And not just any kind of audience, but a hooked audience. Hooked audience! Hooked audience! Hooked audience! The audience would either make us money or make us money. This is a program ran by google that makes it possible for ads placed on Google to be displayed on your website regularly. They amount of money a website owner uses paid varies, depending on the keywords on your website or webpage. They can generate revenue on either a per-click or per-impression basis. The per-click basis means that the owner of a website, after having gotten certain adverts displayed on their website by google (without their permission and based on the content of their work), get some token from every click on the advertised work. This is how it works: There is a banner or text based advert, created by google AdWords, that is displayed on a person’s blog or website. These banners and adverts are generated from Google and displayed on websites whose contents are in line with the advert. The amount paid to websites for these clicks vary with adverts and with Keywords usage on a website or webpage. There are certain keywords that rank higher on the Google keywords tool. Such keywords, usually long tail keywords, generate more traffic and so rank higher on the search engine tool analyzer. Because of this, a click through on a website with a high amount of this keyword in its content would get paid a higher fee than one with a lesser keyword usage. The disparity in payments is due to the frequency of searches on those relevant keyword topics on the search engine. How many people are looking for this information that your webpage has to offer? A lot? Then we can place adverts on this webpage based on this high traffic set of keywords. This can seem like a small amount based on the token paid to websites owners, but if a website has a huge audience based, the tokens when multiplied by the number would be quite an amount. A website owner can earn thousand of dollars from Google AdSense monthly. This has to be one of the most used formulas by website owners in generating revenues through their websites. Affiliate marketing is a business model that allows me earn commissions by promoting other companies products and services. It is me playing the middle man – connecting merchant with customers. It is me providing a link on my website, usually a specific web page with a certain content, directing my audience to click on the link. When they click on that link and, let’s say end up purchasing the good or service that the link provides, I get a commission from it. The Idea behind affiliate marketing is that the website owner uses his large fan base to drive traffic to the “affiliate” websites and thus get paid for it. The simple job of the website owner is to creatively imbed the affiliate link on the content page, so brilliantly that it isn’t blatant and it blends in well with the content. Having built a loyal and committed customer base over the years, leveraging on their commitment and loyalty is key here. Because they have trusted me over the years to have their back and always bring them useful content, they are most likely going to trust my word on a particular product or service. One of the issues, if not properly handled, is having too many affiliate programs on your website, and not checking them out to confirm the authenticity of their promises. So let’s say I were discussing on how to maintain one’s skin glow in certain weather conditions and I creatively slip in the affiliate link of a company that deals in moisturizing creams, it behooves me as the website owner to have either crosschecked the said products, whether or not to is reliable and does what it promises, or to have a trusted friend who I know has used this product and can vouch for the authenticity of the product. Even though I am only helping connecting buyer with seller, playing the middle man, my reputation and trust is at risk. My “selling card” as a website is my reputation, so I should do well to guard and protect it jealously. If my “suggested” products or services fail in the end, even though I have received my commission for the links clicked or the purchase made (depending on the agreement), the disgruntled fan might tell another person about how my advice for a moisturizing cream was bad. This would lead to a bridge in trust, and a bridge in trust will cause my audience to distrust my next “good advice” in the form of an affiliate link. Email marketers and digital marketers say that a mailing list is the most important piece in the online marketing puzzle. An email list grants the marketer the right map to the customers house, and with the right newsletter and copy, they can unlock the doors of the customers pocket every time. The beauty of a mailing list is that you do not have to ask directly for them. You can use an enticing offer to get your website visitors to drop their emails. It could be a free video or a free e-book – something that they cannot resist. When they drop their emails, you send them the freebie and get to keep their email contact for use in the nearest future. Some companies even pay for these lists from websites owners. Knowing that my customer base might be interested in their products, some companies can approach me, requesting to buy my mailing lists so they too can market to my audience. This is another way of making money from your website without selling anything, directly. One of the pecks of producing good content to an audience is that I soon become a master in that field. And one they can trust. When I have regularly provided them with amazing and worthy content, they soon trust me enough to believe I have a deeper knowledge on the said topic; and they would be more willing to part with their money for a “master Class” with me. It could be a webinar or a book that I have created especially for them, to help them solve a specific problem and gain deeper insights into a Specific topic. 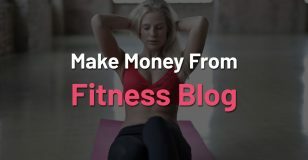 The Email list that I must have built on my website gains traffic and the freebies I have offered over time would come in handy in sending reminder mails to these loyal audience of mine. Please beware, there would not always be a very high conversion rate with this method. Actually, the conversion rate – the rate of people sent letters and notified about a book or a training compared with those who bought the books or who partake in the paid Online training – can be as low as 10%. That is why a large mailing lists and a consistent content delivery system is of utmost importance. When they believe we are not entirely about making sales but about adding value, their emotional triggers are worked up, making them more willing to part with their cash, believing that they have received and that it is their time to give back, to get even more knowledge. It is what Gary Vaynerchuk calls the jab, jab, jab, jab, jab, right hook – give, give, give, give, then ask. 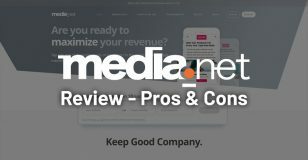 This involves having companies or business whose services or products are related to the knowledge we share with our audience pay us to share their articles on our website. This could be in the form of a product review done by us or an article written or recorded by the said business. These sponsored posts are faster ways to make money from our website without selling anything. Using our massive audience, these companies use our medium to reach their potential customers. We hold the rights to define what kind of content would be put up on our website. It has become our private building open for public business, after all. So it is imperative that we only allow sponsored posts which works have the #nofollow tag after it so that our audience know it is a paid-for post. If the Post is however similar with what the website already does, then it is a win-win for both parties. It is important we regulate the posts we put up so as not to lose our loyal audience. If for example I am a photographer who has built a consistent audience base over the years, I may be approached by a camera making company to help in selling their new cameras. Their choice of my website is most likely as a result of my industry knowledge and committed audience. I can charge them on each sponsored post, depending on how many people I can assure them would be reached via my platform. The beauty of sponsored posts is that if the approaching business are given to content as a means of marketing, they would gain the trust of your loyal audience as well as those of other websites. An offshoot of quality content is having an in depth knowledge of a chosen niche. Consulting is the selling of information to people and business who are either too busy to look for it or not skilled in such. Having answered the questions of our audience and getting them to become subscribers and loyalists for an extended period, we soon become a thought leader in that field. With this given knowledge, we can become a knowledge bridge for those who want this knowledge and are willing to pay heavily for it. We can advertise our consulting service on our website, taking advantage of our audience. This has proven to be the case with most thought leaders. They sometimes send proposals to companies who need their knowledge expertise, designing a class or a course for them. There are many ways by which websites can be monetized without necessarily selling anything or having an e-commerce platform. The most important ingredient still remains content. In the words of Gary Vaynerchuk, Content is king, context is God. A beautifully crafted content – be it text, audio, video or images – needs to be creatively woven into the context of the changing times. This is work, but work that is worth every creative juice, every time and sometimes every money spent. With patience, the right plan and a host of tools, websites can be monetized without selling, directly.